Cara Delevingne hints at catwalk comeback | HELLO! Kendall Jenner and Gigi Hadid have ruled the runways at this season's fashion weeks. But there is one model who has been noticeably absent from the catwalks – Cara Delevingne. Asked by a fan on Twitter whether she misses modelling, Cara replied: "Actually I do, but most of all I miss my friends! But don't worry, it's not the end ;)." Cara's answer has left fans questioning whether the star plans on making a return to modelling sometime soon. Cara has never hidden the fact that she would like to leave the modelling world to pursue a full-time acting career, and back in July of last year, it seemed that she had finally decided to take the plunge. The 22-year-old left her modelling agency Storm Model Management, with fans noting that her profile no longer appeared on the company's website. "Cara left Storm a month ago but it's been kept very much on the down-low," a source told The Sun. "The reality is Cara doesn't see her future in modelling now and with the acting taking off she didn't need the pressure of the agency." It came as no surprise that Cara has chosen to make the move – the British beauty had already been making waves in the film industry. Her first on-screen appearance saw her starring opposite Keira Knightley in Anna Karenina in 2012, and she went on to score a leading role in the film adaptation of John Green's novel Paper Towns, as well as a part in upcoming movie Pan. Most recently, Cara starred in Marvel's latest film Suicide Squad, as part of a star-studded cast including Margot Robbie, Will Smith, Ben Affleck and Jared Leto. 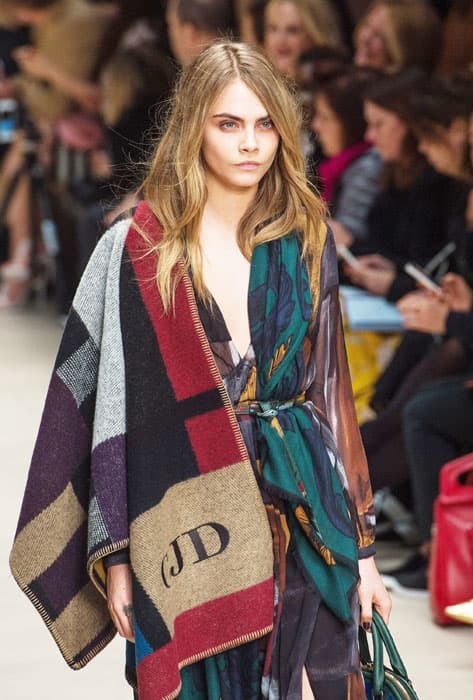 "Cara's now one of the biggest models in the world with huge earning potential from brands," continued the source. "But Cara wants to do what makes her happy and fulfils her. She knows that's not modelling in the long term." The little fashionistas at #SeoulFashionWeek are adorable!